Jeffrey Daymont: Jeffrey Daymont has been a creative force in the juggling community for over two decades. He’s traveled the world with his one man show and toured for three seasons with the variety show “Lazer Vaudeville” in Performing Arts Centers and Vaudeville Theaters across America. 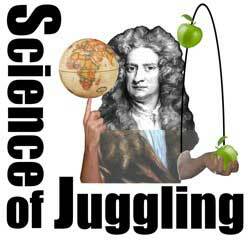 The Science of Juggling program illustrates Newton’s laws of motion by performing incredible skills with every day objects: 4-square balls, hula hoops, a bowling ball, jump rope and even golf clubs. While it is specially written to fit California’s Science Content Standards for 2nd and 8th grade science, students and teachers of all ages will laugh and learn at this high energy show! Juggling Workshops let older students learn the laws of motion first hand as part of a physical education program or a fun activity for your Renaissance History day. Students will also get insight into how the brain learns new skills and how to improve their study habits.